Sunday Independent: Beyond the “glass half-empty” headlines of Africa, lies an expanding market in the second-fastest growing region in the world. Marina Donohoe, Director UK & Northern Europe, on Channel 4 News discussing the Enterprise Ireland Brexit response and preparing client companies for all eventualities. A total of €600,000 in funding is available for technological solutions to address problems including illegal dumping and flooding as part the SBIR joint initiative between Dublin City Council and Enterprise Ireland. Fintech start-up Rubicoin has taken the top prize at this year’s Eir Spider awards for their product 'Invest', an app designed to make it easy for people to start investing from their smartphone. European Union competition regulators said they have approved a €10m Irish support scheme for the restructuring of small and medium-sized companies. A tracking device inspired by an Irish businessman after he survived a mountaineering accident in the French Alps is now being used by search and rescue agencies in Scandinavia, several European states, South Africa and Australia. Appraisee has won NDRC’s first-ever Investor Showcase at PorterShed, seeing off seven competitors to scoop €30,000 in finishing investment. A new taxi app called Flag will allow a passenger to travel and pay the taxi fare without a phone, cash or bank card, while ensuring the driver still gets paid. 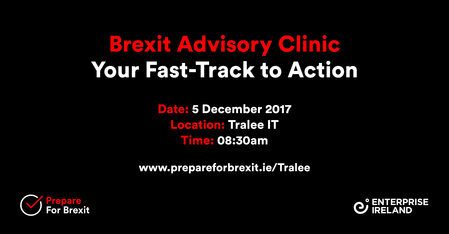 The accelerator is based in ArcLabs at Waterford Institute of Technology (WIT), and is open to applications from teams or individuals, both in Ireland or overseas, in all technology sectors. Irish trade with Africa is increasing. Businesses here sent €23m in exports to Nigeria during the month, according to figures from the Central Statistics Office. While attending Med in Ireland, US online publication MedGadget, tried out SureWash's innovative product which teaches and verifies correct hand washing techniques for clinicians, patients and hospital visitors. Prolego Scientific, has walked away with University College Dublin’s Start-up of the Year Award and a €20,000 prize, as well as winning the overall UCD VentureLaunch Accelerator Programme. 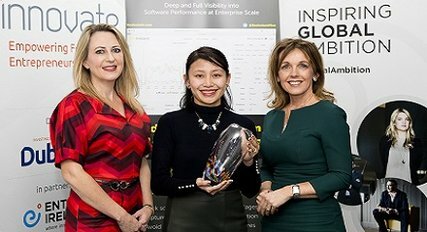 BeeInstant was the overall winner at the showcase which concluded a 12-week accelerator programme as part of Enterprise Ireland's Female Entrepreneurship Competitive Start Fund. Cleveland Clinic and Enterprise Ireland are recognising the importance of clinical innovation by presenting the Clinical Innovation Award 2018. Application closing date is 20 December. Career-FIT, the postdoctoral fellowship programme, is open for applicants. A key feature of Career-FIT is the opportunity for experienced researchers from outside Ireland to develop their careers in market focused applied research.